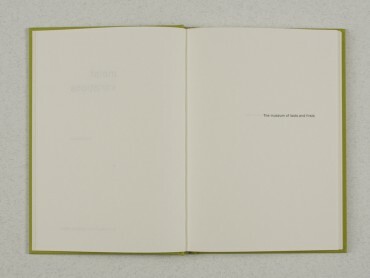 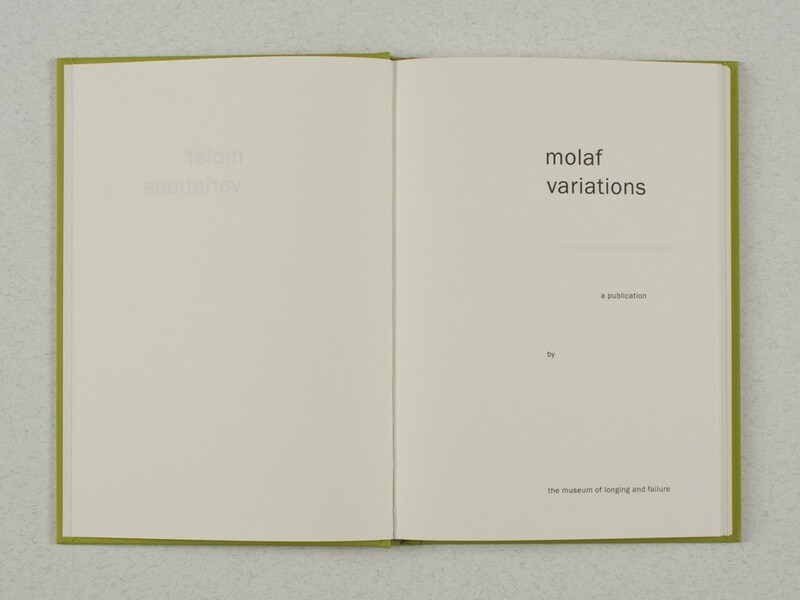 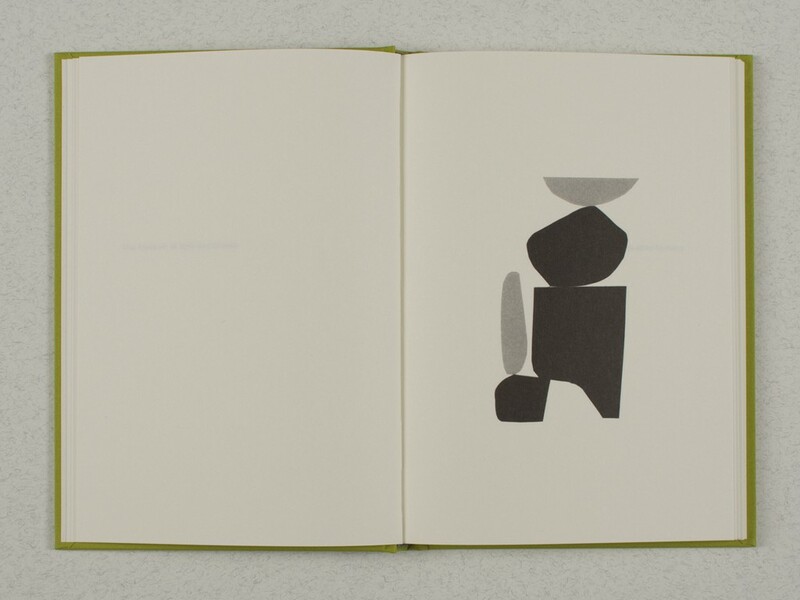 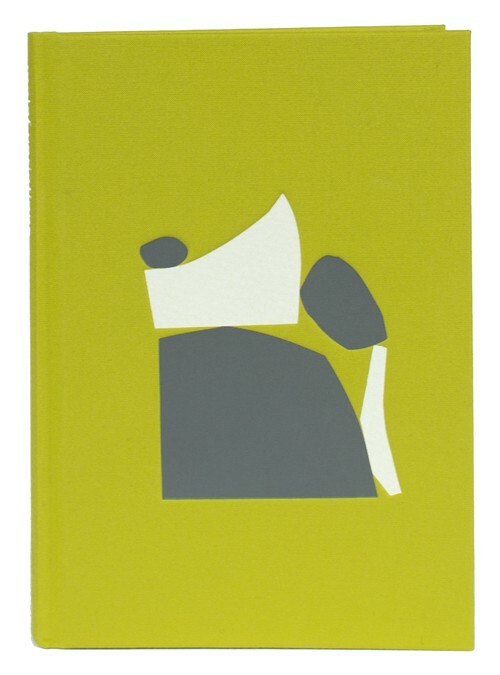 MOLAF Variations" is the first published work by the Museum of Longing and Failure. 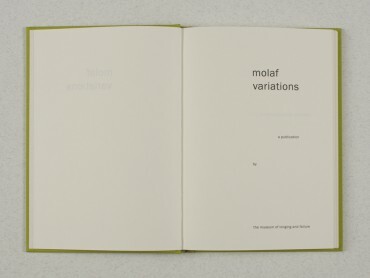 Over the course of the book, the acronym MOLAF is reformulated eighty-eight times in an exhaustive attempt at re-invention. 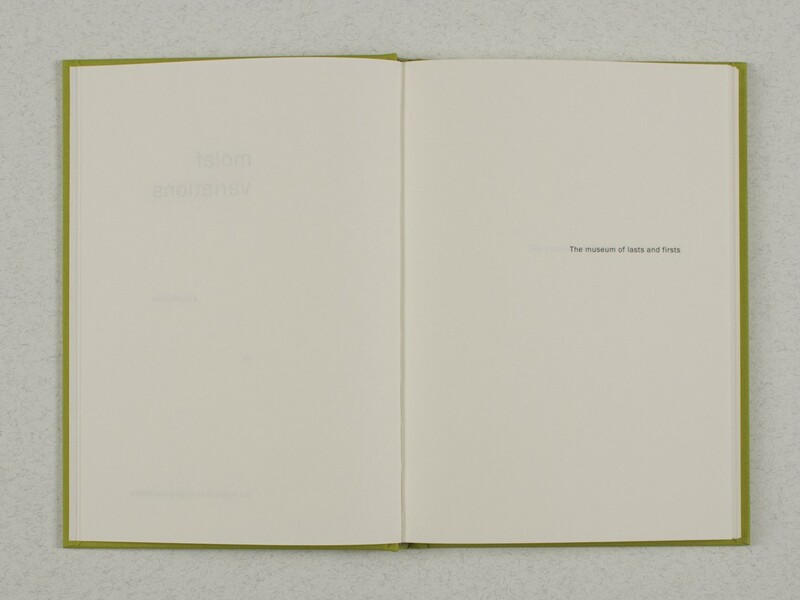 The Museum of Longing and Failure (MOLAF) is an artistic platform created and facilitated by the Canadian, Norway-based artist duo Lewis & Taggart.